Finding a new home can be just one click away. Online real estate sites make it so easy to search the market and get a feel for the kind of homes you want and can afford in a certain neighborhood. They also give you access to even more information as a homebuyer. With virtual tours and online pictures, you can quickly create a “must-see” list and eliminate those that don’t meet your specific criteria. There’s so much great information and knowledge at your fingertips, but just like any website, you need to make sure the source is a trusted one. I’m sure many of you have browsed these sites: Realtor.com, Trulia.com, Redfin.com and RE/MAX.com, among many others. 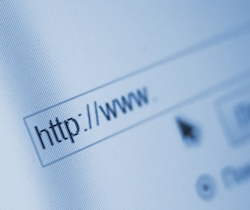 There are pros and cons to these sites and you may be confused about which one to use. Sure, we’re all on the hunt for “secret” listings and seek out different sites to find homes the others don’t have. However, only one site gives you the most accurate, up-to-date information: www.homesdatabase.com. It is the only site that is directly connected to the MRIS database and has all the same information. The MRIS database is a proprietary database that only realtors can access. It’s the database every agent uses to enter listings that are on the market. In other words, it IS the market. So www.homesdatabase.com is the consumer version of the same database, and it’s the only site that has the most current listings and accurate information. The other sites are more like marketing tools that sell leads to agents. Popular listings that get lots of hits are kept on these sites regardless of how outdated the listing. So it’s “buyer beware” even when you’re online. Homesdatabase.com is by far the best website you can use to search for listings on your own. However, once you’re a client, you can get direct access to the MLS system that only agents can access. Once we enter your search criteria, you will automatically be sent a daily e-mail with all the listings that fit the criteria you’ve set. That way you don’t have to spend your own time searching for listings if you prefer not to. If you’re still curious and want to see what else is out there, then by all means, use www.homesdatabase.com and search around for homes in other price ranges or other areas to educate yourself about other sectors of the market. • Get email alerts on listings and open houses. • View pictures and virtual tours of homes. • Browse all the listings for sale and rent on the market. • Search using simple natural language phrases. • Narrow your search with specific criteria: # of bedrooms or baths, price range, location. • Find information on neighborhoods, schools for specific homes. • See comparable properties in the area. • Review detailed MLS information, including lot size, year built, amenities, heating, cooling, appliances and more.